Though the EHR is your main source of patient data it certainly isn’t your only one. As such, healthcare IT professionals must find ways to bring outside — but very important — nuggets of information at the point of care. In this timely webinar you’ll hear from healthcare IT leaders who are presenting their clinicians with the right information at the right time right in their regular workflow, leading to improved outcomes, increased provider satisfaction, and better payer-provider collaboration. With your health system’s survival riding on a smooth transition to value-based care, this is one webinar you can’t afford to miss. 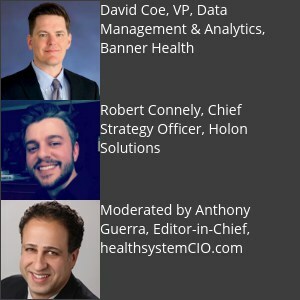 About our Sponsor: Holon Solutions is a healthcare information technology company that surfaces critical patient data within the provider’s workflow, so informed decisions can be made at the point of care. Based in Alpharetta, GA, Holon senses when a patient chart is opened in the EHR, delivering intelligent alerts that present gaps in care, coding opportunities, whether the patient is part of a managed care contract, and more. Holon empowers organizations to optimize patient outcomes and their financial performance as they manage a growing number of value-based contracts. For more information, please visit holonsolutions.com and follow us on Twitter and LinkedIn. 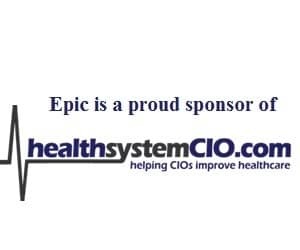 For information on sponsoring upcoming healthsystemCIO.com opportunities, check out our Webinars, Surveys, and Private Dinners Calendars, or contact Nancy Wilcox.